We offer customers and businesses the newest and best amenities the storage industry has to offer. Whatever your storage needs are, we can help! Located right off the I-20 business loop, we’re situated in a convenient location for anyone in the Odessa area. We are easily accessible to residents of Midland, Greenwood, Gardendale, and other surrounding communities. 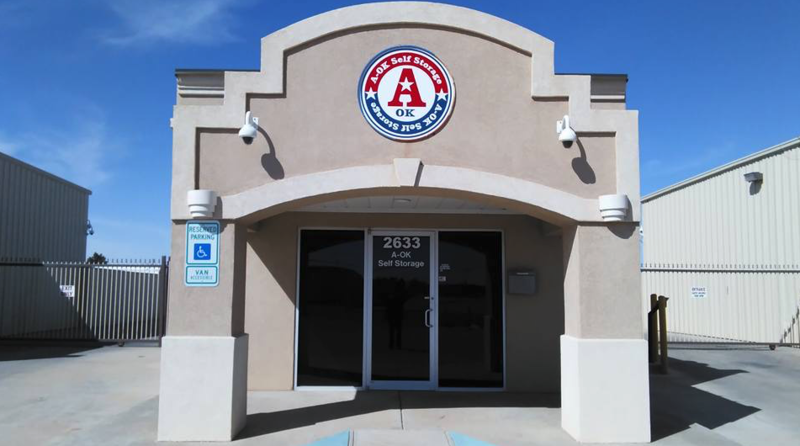 Whether you live or work in Odessa, you’ll find that A-OK Self Storage has the unit fit to accommodate your storage needs, whatever they may be. Come visit us at 2633 Faudree and see what we have to offer! Our premier self storage facility utilizes some of the newest and best security features around, including secure technology on our units, coded security gate access, and state of the art surveillance cameras that keep a constant record of the activity on our property. You can rest assured your belongings will be safe with us! We know security isn’t the only thing that’s important to you. That’s why we take extra measures to make sure our units are not only secure, but also clean. Additionally, we offer other convenient features like drive up access and online bill pay to help make the entire process of using self storage much easier for you.